Choose from over 50 themes designed to show off your best photos - or start with a blank calendar and design your own! 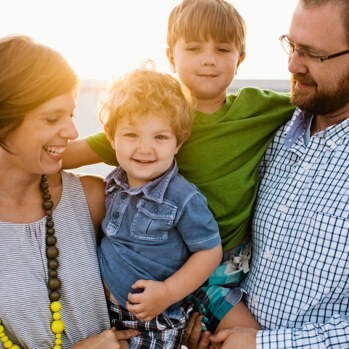 Upload all your favorite photos and drop them into our easy layouts. Swap backgrounds, change layouts, add text and stickers, move or resize anything. You have creative control. 11" x 8.5" or 14" x 11"
thousands of icons and graphics. Calendar Year or School Year? Select any month to start. Display any or all holidays. Mixbook uses heavy-weight paper for great print quality and 100% satisfaction guaranteed. Mark special days and events with icons and graphics. Add some fun to your calendar. Add birthdays and special dates. any reason, you may return it at any time. ... And They’re Pretty Excited About Us Too! 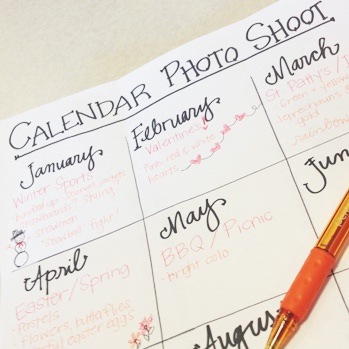 5 tips for planning a great calendar shoot. A gift that will be enjoyed all year long. Get your family on the same page. Create your own calendar for the upcoming year with Mixbook’s photo calendar maker. Make a custom calendar that will be one of a kind with all of the photos from the year. This would be perfect as a personalized gift for the holidays, or even as wall decor in your home, dorm room, classroom, or office space. Photo calendars will brighten any room by adding the right personal touch. Add in birthdays, events, and anniversaries -- you can even make a school-year calendar that includes vacation dates, school events and sports team schedules. You can use photos, stickers or even upload your own images or logos to mark each special day. With your custom calendar, you will never forget an important date! By designing your custom calendar, you’ll be able to enjoy your photos all year long. Gather up your photos from the year and re-live them again as you turn the page for each new month. You can choose photos you’ve already taken or plan a photoshoot at home to take photos for each month. 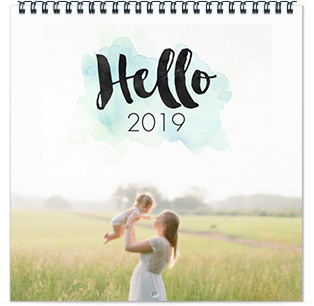 Some great calendar themes and ideas to use are: baby’s first year, travel and adventures, year in review, pets and animals, kid’s activities, and family gatherings. With our unique collection of designs, colors, and formats, you will be sure to find a style that suits you. Our calendars are available in a variety of sizes, from square 12” x 12” calendars to landscape 11” x 8.5” and 14” x 11” calendars. 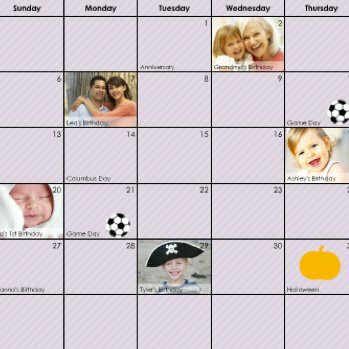 Our templates are easy to use, so you can make a personalized calendar in a snap. Or, start with a blank canvas and design your own calendar. You have complete creative control. With current promotions and coupons available, you will always get the best deal with Mixbook. Sign up with your email to receive up to 50% off your first order!